As a photographer with many years of photojournalism experience, I am prepared for wedding moments such as this! This group of five flower children slowly made their way down the church aisle, the center of attention. 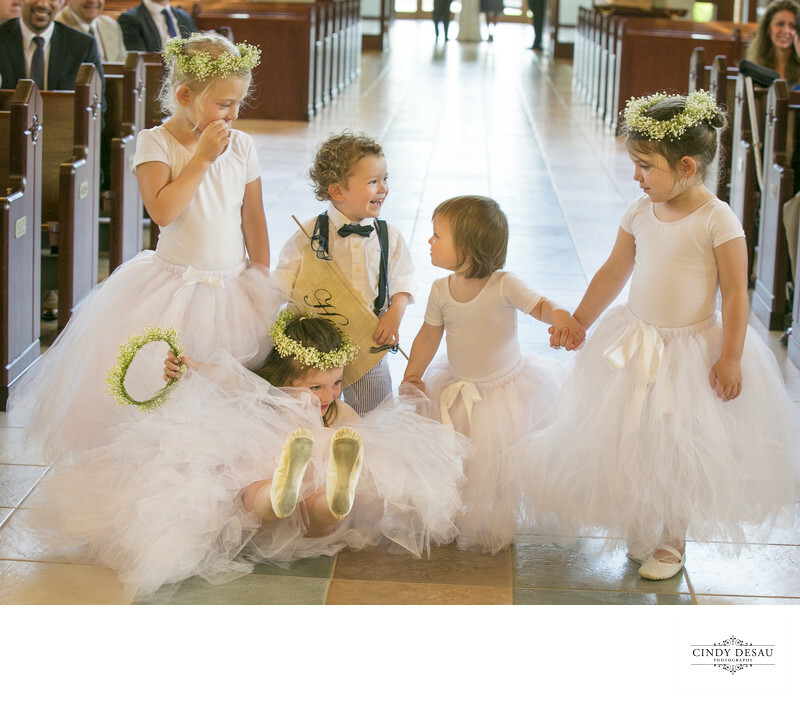 Four flower girls in tulle skirts and one ring bearer with a bow tie. The littlest one lost her crown of baby’s breath. When one of the older flower girls went to put it back on, she slipped on the floor and down she went! Everyone in the church thought it was the funniest wedding processional they had ever seen. Location: 10 E Main St, Flemington, NJ 08822.